Sitting just across the road from Central Station, Side Bar is one of Sydney’s busiest and most iconic backpacker bars, with late-night fun on the agenda all week long. Each night offers something a little different to the next; from live music and trivia each Tuesday, through to Saturday’s weekly DJ-fuelled frat party. Expect a glorious array of drink specials and a thumping dance floor. Every bit as wild as it sounds, The Scary Canary has long been one of the city’s favourite backpacker bars – a destination for big nights, themed parties, and socialising galore. There’s never a boring moment in this joint, whether you’re engaging in a battle of the brains at Monday night trivia, going hard at one of Sydney’s biggest weekly Wednesday night parties, or experiencing one of the bar’s monthly silent discos. Harbourside Cargo Bar has cemented its status as a go-to for Sydney’s booming backpacker contingent, pulling all sorts of partygoers with its dance-worthy tunes, cosmopolitan feel, and ripper waterfront location. Dress up and head on in for some high-energy weekend fun, driven by buzz-worthy DJ’s and a few of the bar’s punchy cocktail creations. This basement backpacker bar is the ultimate traveller’s haunt, with its beachy Hawaiian styling, laidback feel, and penchant for late-night partying. It’s rowdy in the best way possible, with a weekly line-up that runs from Monday night’s ever-popular crab racing sessions, to DJ sets and dance floor bangers every weekend. Get in for some cheap pizza, tropical cocktails, and to make a bunch of new mates. 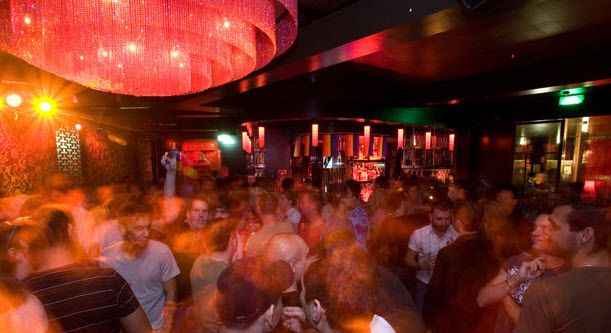 World Bar’s location in the heart of Kings Cross’ backpacker district means that a good chunk of its diverse crowd are visiting from far-flung destinations. 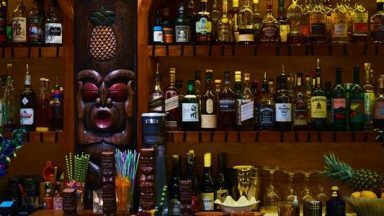 You’ll find them there on any given night, partying hard to the evening’s selection of live tunes and DJ sets, mingling with the locals, and getting acquainted with the bar’s famous Teapot concoctions. 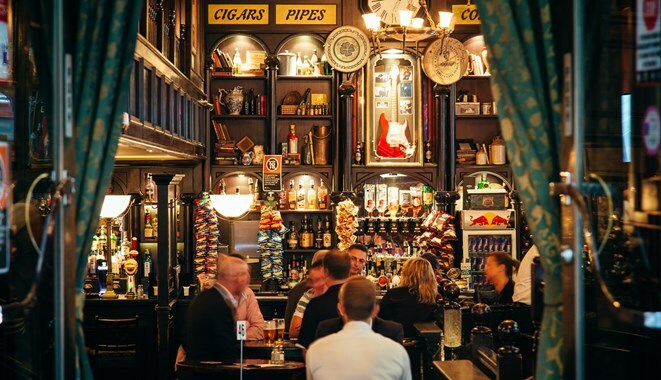 Classic Irish pub Scruffy Murphy’s is a favourite among locals and backpackers alike – a budget-friendly boozer with a crowd that’s cheery and a space that invites you to really kick back. A night out here might find you enjoying casual beers, a bistro feed, and some sport on the big screens, or it might have you shredding up the dance floor and belting out some tunes at karaoke. Libby Curran is a freelance writer, craft beer aficionado and diehard foodie. When she’s not busy eating and drinking her way around Melbourne, you’ll find her writing about her latest and greatest finds. Come to this Festival for amazing food and good times! Monster-themed ice cream? Yes please! Festival dedicated to all things food & drink! Where To is Sydney's most comprehensive city guide, helping you discover the best experiences in Sydney. We curate the best offerings from Sydney's bars, pubs, clubs and restaurants and publish daily content on the latest happenings in Sydney. Copyright © 2018 — Where To Tonight - Sydney.